BMW has outlined its plans for the next several years. It shouldn’t surprise you, but BMW’s future will be increasingly electric with an eye towards adding autonomous technology, the company announced in its year ending report. By the time 2025 rolls around, BMW says its hybrid and electric lineup will include no less than 25 models, which in addition to standalone models, likely includes both plug-in and fully electric derivatives of almost every model in the automaker’s lineup. In fact, the company’s first EV will be the purebred iX3 crossover, which the company aims to have on sale by 2020. By 2021, . That's 100 miles more than Tesla’s P100D currently offers. Joining the pair will be the flagship of the company’s i division, the iNEXT, which BMW says will feature Level 3 to 5 autonomy. 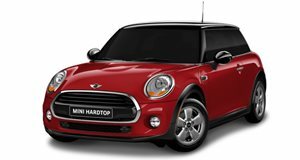 The report also mentioned the upcoming , as it’s expected to begin production in 2019 at Mini’s Oxford, UK, plant. Additionally, the company announced it had signed a letter of intent to with manufacturer Great Wall. 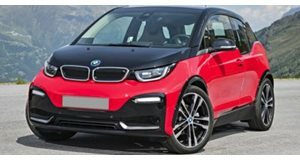 “Over the course of the year, we will present a number of pure-electric concept vehicles that will all go into series production, like the first all-electric BMW – the iX3,” said Harold Kruger, Chairman of the Board of Management of BMW AG. “Our new technology flagship, the BMW iNEXT, the captivating BMW iVision Dynamics, which I just announced in Geneva as .” Additionally, BMW promised that 2018 will see the company once again increase its capital expenditures for research and development purposes, headlined by a several-hundred-million-dollar investment into autonomous and electric mobility technology. Total R&D spending is expected to approach $9 billion.